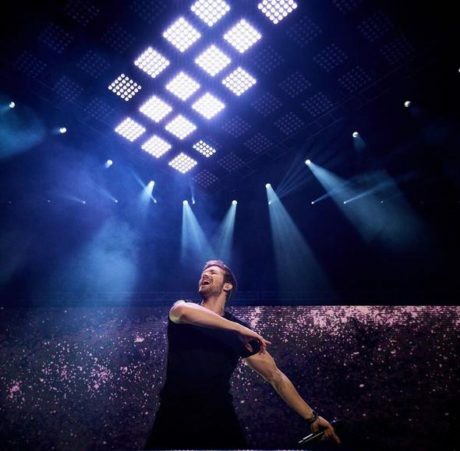 MADRID – Chart-topping Spanish artist Pablo Alborán has been drawing record crowds for his Prometo Tour as it works its way through Spain and South America. 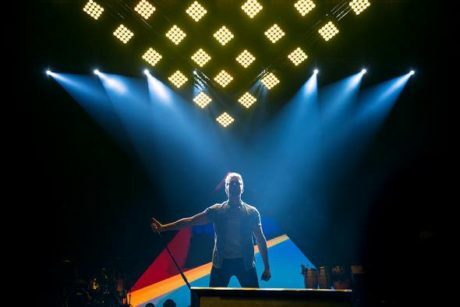 Providing powerful visual support for the Grammy-nominated singer/musician’s show in Madrid is a dramatic lighting design by Chus Fernandez that features CHAUVET Professional Nexus Aq 5×5 pixel mapped panels supplied by Fluge. Working in close collaboration with Salvador Moreno on the design of the stage space, Fernandez specified 64 of the RGBW Nexus panels to use as the centerpiece of his lightshow. Arranged in a captivating rhombus shape and flown at a slanted angle over center stage, the panels provide a dramatic and colorful visual element to Fernandez’s design. The massive size of the rhombus light structure provides a defining geometric pattern for the entire stage. Aside from drawing attention to the performers beneath it, the overhead configuration also provides an attractive scenic element for those photographing and videoing the show. 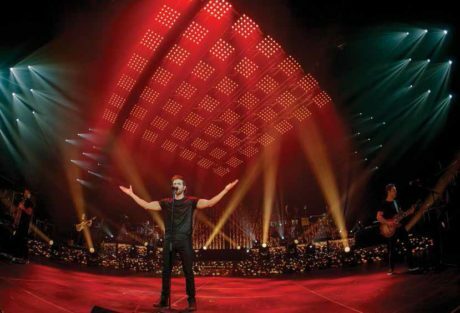 Fernandez drew on the high output and narrow beams of the LED panels to add impact to the stage during many of Alborán’s high-energy songs. At other times in the show, the LD set a more mellow mood by washing the stage in lush colors. Utilizing the panels’ pixel mapping features, Fernandez continually changed patterns on the stage to keep his show fresh and interesting throughout the concert.